A jury in Arizona acquitted Christopher Huerstel of first-degree murder and of attempted armed robbery of a Tucson pizzeria in which 3 people were killed. Huerstel, who was 17-years-old at the time the crime was committed, was orignally convicted along with a co-defendant and both were sentenced to death in 2001. His conviction was overturned by the Arizona Supreme Court because of errors by the trial judge. The jury at the re-trial was unable to reach a verdict on second-degree murder, and Huerstel may face another trial on that charge. The defense claims that the prosecution had argued that there was no evidence of second-degree murder. The prosecution was not able to seek the death penalty at Huerstel's re-trial because he had been a juvenile. (Tucson Citizen, Oct. 5, 2005). See possible Innocence and Juveniles. Texas Governor Rick Perry has commuted the death sentences of 28 juvenile offenders to life in prison, an act that brings the state into compliance with a recent U.S. Supreme Court ruling that deemed the practice of executing those who were under 18 at the time of their crime unconstitutional. While some of these inmates will remain in more restrictive segregation, many will have their first exposure to prison work programs, schooling, and jobs within a prison unit. Current Texas sentencing laws give jurires in capital murder cases the choice of sentencing defendants to executon by lethal injection or life in prison with the possibility of parole after 40 years. Last week, Perry signed into law a change that will remove the possibility of parole in life sentences, but the change will not apply retroactively to crimes committed before Septemeber 1, 2005. (Associated Press, June 22, 2005) See Juveniles, Life Without Parole, and Clemency. See also DPIC's Roper v. Simmons Web page. 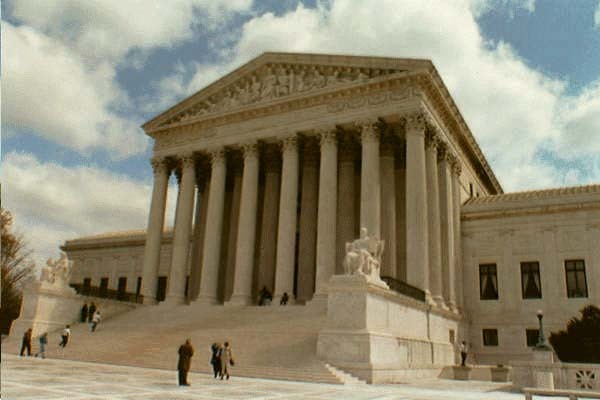 By a vote of 5-4, the U.S. Supreme Court has declared the execution of juvenile offenders to be unconstitutional. Today's historic ruling in Roper v. Simmons holds that this practice violates the Eighth Amendment's ban on cruel and unusual punishments. The decision will result in a new sentence for Christopher Simmons and likely new sentences for the 71 other juvenile offenders currently on state death rows across the country. Simmons' position was joined by many professional organizations including the American Medical Association, the American Psychiatric Association, and the American Bar Association, and by numerous countries from around the world. Prior to today's ruling, 19 states with the death penalty prohibited the execution of juvenile offenders. Twenty-two inmates have been executed for crimes committed when they were under the age of 18 since the death penalty was reinstated in 1976. (Associated Press, March 1, 2005) Read the Supreme Court Opinion (March 1, 2005) [PDF, 87pp.]. See DPIC's Roper v. Simmons page. See also, Supreme Court and Juvenile Death Penalty. A recent study of 18 juvenile offenders on death row in Texas found that nearly all participants experienced serious head traumas in childhood and adolescence, came from extremely violent and/or abusive families, had one or more severe mental illnesses, and had signs of prefrontal brain dysfunction. The study, conducted by Dr. Dorothy Otnow Lewis of Yale along with other experts, suggests that most of the juvenile offenders on America's death rows suffer from serious conditions which "substantially exacerbate the already existing vulnerabilities of youth." In the study, Dr. Lewis and her colleagues reviewed all available medical, psychological, educational, social, and family data for each participant to clarify the ways in which these various aspects of development may have diminished a juvenile offender's judgment and self control. The study's findings are similar to earlier research conducted by Dr. Lewis in 1988. Her work was cited in an amicus brief filed last year by the Juvenile Law Center and more than 50 other organizations in support of juvenile offender Christopher Simmons. In his case, Roper v. Simmons, the Supreme Court will rule on the constitutionality of executing juvenile offenders. A ruling is expected before July 2005. The article regarding Dr. Lewis's latest study,"Ethics Questions Raised by Neuropsychiatric, Neuropsychological, Educational, Developmental, and Family Characteristics of 18 Juveniles Awaiting Execution in Texas," was recently published in the Journal of the American Academy of Psychiatry and the Law. (32 American Academy of Psychiatry and the Law 408 (December 2004)). See Juvenile Death Penalty and Resources. In an examination of the case against three men sentenced to death for a triple murder that occurred in Tucson's El Grande Market, reporter Jeffrey Toobin in the New Yorker describes the incidents that led to the fall of the lead prosecutor, Kenneth Peasley, for presenting false evidence in the case. Only one of the co-defendants, Martin Soto-Fong, remains on Arizona's death row. Of the other two defendants, Christopher McCrimmon was acquitted at a re-trial in 1997, and Andre Minnett had his conviction reversed in 1996, with subsequent prosecution barred on double jeopardy grounds in 2002 because of Peasely's intentional misconduct. In 2004, Peasley was disbarred for his actions in the El Grande case. Soto-Fong, who was 17-years-old and a foreign national when the crime occurred, is appealing in federal court and has maintained his innocence. Recently, a new witness has emerged pointing to other defendants and excluding the three who were originally convicted. (J. Toobin, "Killer Instincts," The New Yorker, January 17, 2005). See Innocence.